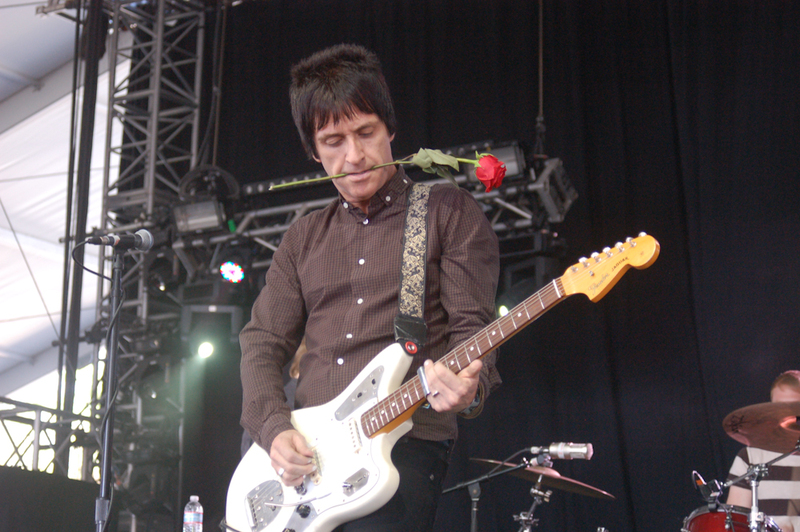 One of the founders of the Smiths, Johnny Marr, shared today a music video for his new song entitled “The Priest.” The song features a spoken word track narrated by Maxine Peake. Peake is an English actor who started working with Marr back in 2016. The music video is also co-directed by Marr and stars the “Three Girls” actress Molly Windsor. The guitarist from acclaimed bands such as the Smiths, Cribs, Modest Mouse and The The who turned into a solo star is now teaming up with the award-winning ‘Shameless’ actress Peake to deliver a commentary on the growing problem of homelessness. Marr and Peake are in the middle of working on Marr’s third solo album – a project exploring the social and political climate of the UK. It centers around the theme of “what it feels like to be alive in the UK right now,” Marr told The Guardian. The album is due next Spring. In the new music video, Windsor plays a homeless girl, and we as spectators see and hear her struggles as she navigates the streets of Manchester. She walks around trying to find places to eat and sleep. The idea for the music video for “The Priest” comes from the experiences of former Big Issue salesman Joe Gallagher from his first few weeks of being homeless in Edinburgh. He would later publish his experience in The Big Issue under the name James Campbell. The poetry spoken throughout the Priest is Gallagher’s poetry backed by the brilliant soundscape provided by Marr. His last solo work was in 2014 with Playland and this past November, Hans Zimmer released his live album Live in Prague, and it featured Marr himself on guitar. Watch the powerful music video for “The Priest” below.